The legalities concerning inheriting money or property can be complex. Therefore, it is essential to be prepared by understanding the basics of inheritance and learning who can help you throughout the whole process. Basic Terms When it comes to inheriting assets, it is important to have an understanding of the terms below. Probate – The legal process in which the distribution of property is overseen by a court after the death of the owner. Beneficiaries, Heirs, and Inheritors – The terms used to refer to an individual or group of individuals who can legally inherit according to the law or a will. 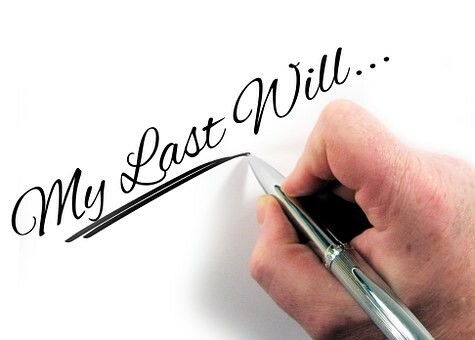 Will – A legal document that permits the property of an owner to be distributed upon death. If a will is not present, every state or country has a law, called intestacy laws, that will be the basis for determining inheritance. Estate – The term used to refer to assets left behind after the death of a person. Inheritance Taxes or Estate Taxes – These may be federal or state taxes due after a death. Some taxes are paid by the inheritors, but in some cases, they may be paid by the estate’s assets. Trust – A legal document that states how the assets are to be distributed to inheritors. Executor – The person legally allowed or stated in the will to manage, secure, or gather the estate’s assets. Debts – Upon the death of a person, his debts are to be paid first before any form of inheritance is passed on to named beneficiaries. Inheritors or beneficiaries are not legally responsible for any debts incurred by a parent or relative, but their estate should cover all remaining debts. The Probate Process If the deceased made a last will and testament before the time of death, his estate will go through the probate process under the supervision of a court. This process includes determining and locating the value of the left assets, paying taxes and bills, until such time that it will be passed on to the right inheritors. The probate process follows a specific set of laws that may depend on one’s residency, as laws may vary from state to state. These laws are included in the estate’s “probate codes,” including laws for intestate succession should a person die without the existence of a will. Probate still includes the distribution of assets and the payment of final bills even without a will. Although the laws associated with probate are different in accordance with one’s geographical location, the steps are generally similar regardless of whether there’s a will or not. Last Will and Testament Authentication Upon the death of a person with a will, most state laws require that the will be filed in the probate court the soonest time possible. A petition or application to open probate of the estate is processed at the same time. In some cases, a death certificate might be needed, along with the application and the will. While processing probate of the estate might seem a daunting task, state courts actually provide forms and guidelines for this to make it easier for the executor to complete the tasks. If the deceased has left a will, it needs to be validated by a judge first by way of a court hearing. 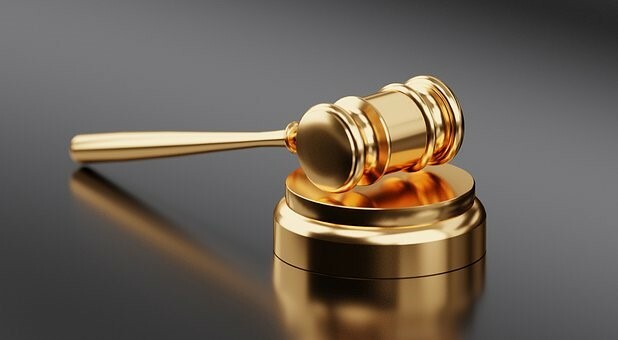 Notice of the court hearing will be distributed to all the inheritors listed in the decedent’s will, as well as those who would inherit the will be default or operation of law if a will is not present. This hearing will also give anyone concerned the opportunity to make objections regarding the probate process. There are several reasons for this, including a possession of an updated will or if a will has not been drafted properly. A person may also move to change the named executor in order to appoint someone else to handle the estate. As to how a court decides if a will is valid or not, a decedent, along with a witness, needed to sign what’s called a “self-proving affidavit,” which should have been finalized at the same time the last will and testament is signed and witnessed. Self-proving affidavits are enough for a court to decide that a will is indeed valid. 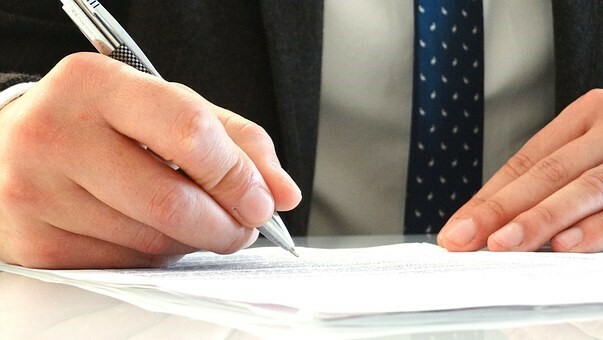 In place of an affidavit, in case the deceased failed to create one before the time of death, additional witnesses should provide and sign a sworn statement testifying that they’ve seen the decedent sign the last will and testament. Appointment of an Administrator or Executor A judge will have to appoint an executor, also called an administrator or a personal representative. This person will handle the process of probate including settling the estate of the deceased. An executor may be appointed by the decedent as well, that is if his or her name is imprinted in the last will and testament. In cases where a will does not exist, the court will appoint next of kin as executor, which is commonly the surviving spouse or the eldest or an adult child. It’s worth noting that a person can decline being appointed as the executor. If this happens, the court will have to choose someone else. Once an executor is appointed, he or she will then receive “letters testamentary” from a court. These are the legal documents that will permit the executor to transact on behalf of the estate. These documents are also called letters of administration or letters of authority. Posting Bond In some cases, the executor must post bond before the acceptance of letters and before entering any transaction on behalf of the estate. However, a will may be created that it includes a proviso stating that posting bond is not needed. Think of the bond like you would an insurance policy. This will automatically kick in if the executor commits an error that can potentially cause financial damages to the estate and its beneficiaries. Finding the Assets of the Deceased The first task of the executor is to find and take possession of the assets left by the deceased in order to provide protection to it during the process of probate. This task can be challenging, especially if there are assets that have not been proclaimed or made known by the deceased. It is an executor’s job to track these assets, which can be done by reviewing documentation such as tax returns and insurance policies. When it comes to real estate, it should be noted that the executor need not move into that piece of property, whether a building or a residential home, in order to provide protection. However, he must ensure that mortgages are paid for, as well as insurance and taxes so the property won’t be foreclosed. When it comes to other assets, such as vehicles, collectibles, jewelry, and the like, the executor may literally possess these items and store them for safekeeping. Documentation for these assets should be collected in the process including investment accounts, bank accounts, and bonds and stocks. Date of Death Values The assets’ date of death values must be determined, which is done by reviewing appraisals and account statements. In some states, appraisers may be appointed by the court, while other states allow the executor to choose the appraisers. A legal document must be provided by the executor that should list every valuable thing the deceased has left. Each item should have an asset value and notes indicating how the value was determined. Notifying Creditors Creditors of the deceased must be notified of the death immediately. In most states, the executor is required to publish a death notice in a local newspaper to inform creditors of the passing. These creditors are given a limited amount of time to file claims against the remaining estate. However, the executor has a right to reject any claim especially if it is deemed invalid. If the executor makes a rejection, creditors also have the right to petition the court to allow a judge to decide the validity of such claim. Payment of Debts Using estate funds, the executor must pay any claim made by a creditor that’s been validated by a probate judge. His final bills and any incurred debt must also be paid according to law. The Decedent’s Tax Returns It is also the executor’s task to file the final personal income tax returns of the deceased. To do this, the executor must find out of the estate is responsible for the payment of estate taxes. If yes, tax returns should be filed as well. The payments are sourced from estate funds and should be paid within nine months of the date of death. Estate Distribution After the steps outlined above have been processed and completed, it is now time for the executor to distribute what’s left of the assets after petitioning the court for permission. Permission from the court will only be granted upon the completion of accounting, payments, and other transactions included in the process of probate. If the will has named a minor as one of the beneficiaries or inheritors, the executor must prepare a trust in order for the asset to accept possession of bequests, since minors aren’t allowed to own a property yet. In the case of adults, transfer documents and deeds must be filed with the officials of the state or county in order for the bequests to be finalized. Intestate Estates An intestate estate is a term used to describe the instance in which a valid will is not present due to an error in the existing will, or a will has never been made, and if an heir contested an existing will successfully. Generally, the absence of a will means that the deceased assets will immediately be passed on to the closest next of kin. Tips for Inheritance Decision-Making Due to the fact that an inheritance can cause emotional and financial issues, there are some things one can do in order to make the process a lot simpler. Keep Calm – Always weigh in on your decisions first especially when making purchases. 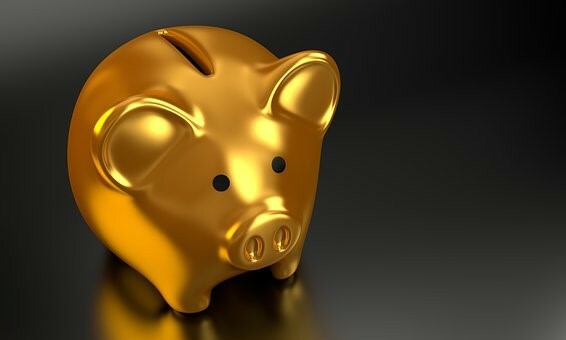 It’s critical not to be impulsive at this point, considering an inheritance may be the only time one can receive a huge amount of money or any valuable asset. Store Cash in a Safe Place – You should be able to exhaust all options when it comes to storing your money. You have a lot of options to choose from, but most people would store their inherited money in a low-risk money market fund or CD. Always Seek the Advice of an Expert – Probate lawyers exist for this reason. They can help you understand the probate process and also guide you in case issues arise during the process. Take note that a lawyer need not be expensive. In fact, merely an hour of consultation will offer you productive results. You may also want to get advice from a financial adviser or an accountant. Your Estate Planning Should be In Line with Your Inheritance – If you’re expecting an inheritance, make sure that is incorporated into your own estate planning. If you’ve already drafted a will, make necessary revisions right away. Know What to Keep and What to Invest – Of course, your inherited money should be put to good use. Decide on the percentage that you want to set aside as savings, the amount you want to invest, what to do with a piece of property you inherited or any bonds and stocks. This should be planned out before receiving the inheritance. Consider Potential Taxes – Take into account any inheritance tax that you may need to pay for. File and Document Records Properly – Once the probate process is over, ensure that all the documents associated with your inheritance are kept and stored in a safe place. This includes the death certificate, asset inventory value, and will and trust documents. Remember that you will need these documents in the future. Probate and the process of inheritance, admittedly, is not an easy task. It should be looked into with great care and with the help of the law and the right experts. Always seek guidance from these resources in order to complete the process faster with fewer issues as possible.